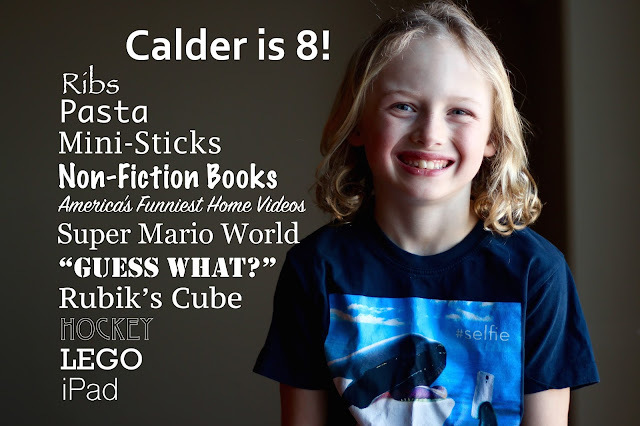 Calder Hugh was born on March 8, 2009. 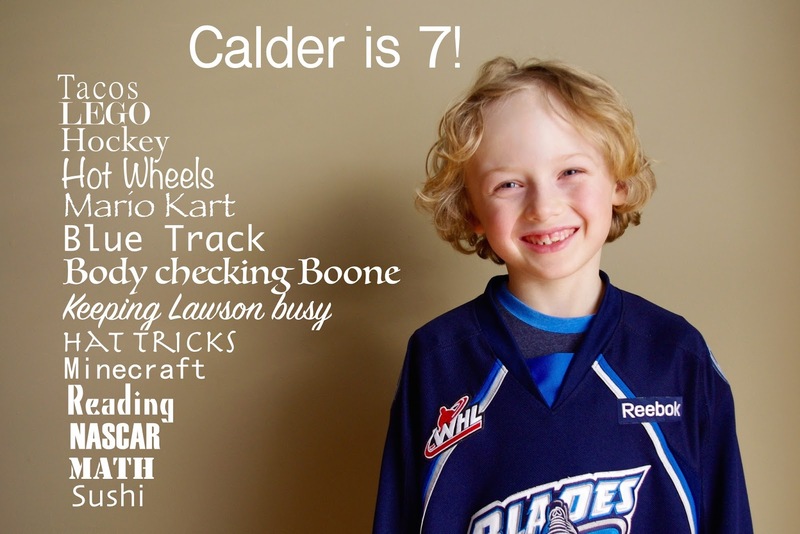 Here Calder is 4 years old. He still loves to wear his pyjamas ALL THE TIME! 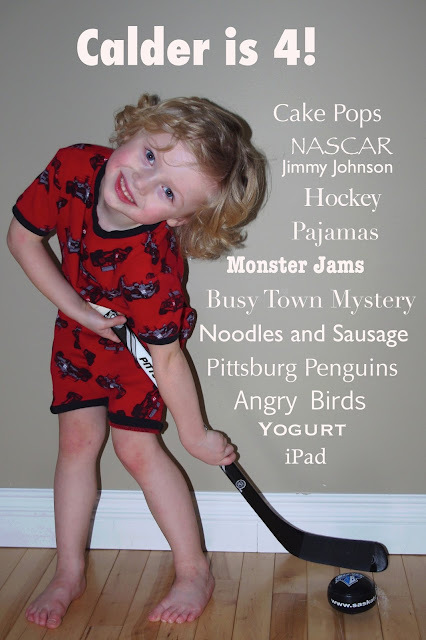 He likes to play Angry birds, hockey, and with his Monster Trucks and Cars. 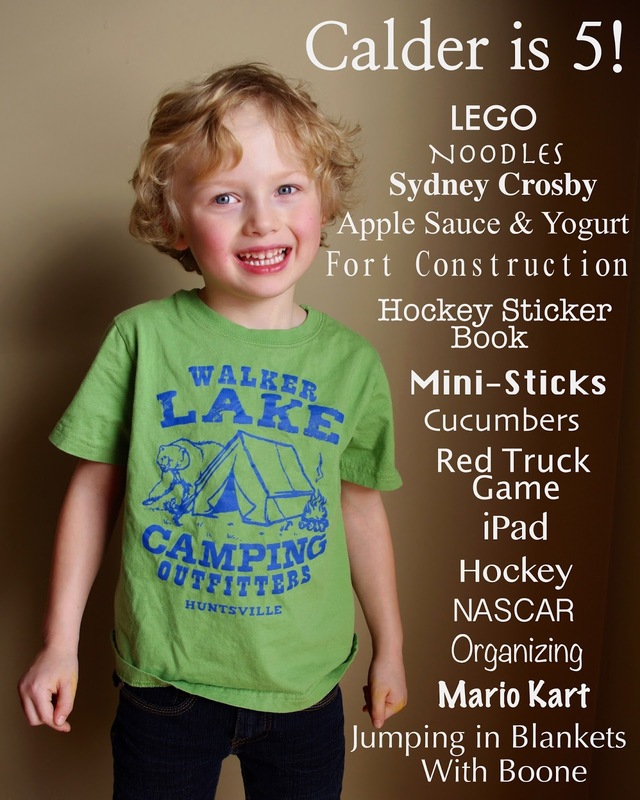 His favourite foods are noodles, cucumbers, and treats! He still loves to push limits, but hates getting himself or his stuff put in time out, so is quickly learning! Calder is a fun, caring kid and I am lucky to get to spend my days with him! Here Calder is three years old. He loves to wear his pyjamas ALL THE TIME. He loves vegetables and candy. He loves to push every limit. He loves to make us laugh (and he is pretty good at it). That is quiet the combination vegtables and candy!! Well life is all about balance - it is good that you are teaching him this so young!! !